Bring style to your wall space! 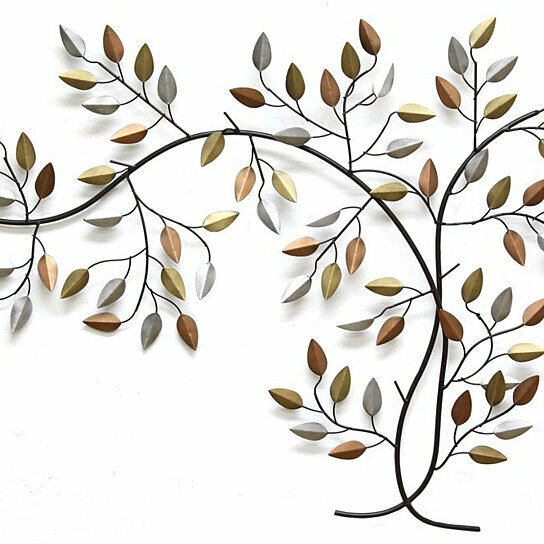 This gorgeous wall hanging features a design with branches and leaves made of metal in silver, gold, and bronze finishes. Its earthy look makes it ideal as an accent piece alongside almost any style decor, from modern to eclectic. An attached keyhole makes for easier wall hanging. Care instructions: Wipe clean with damp cloth.